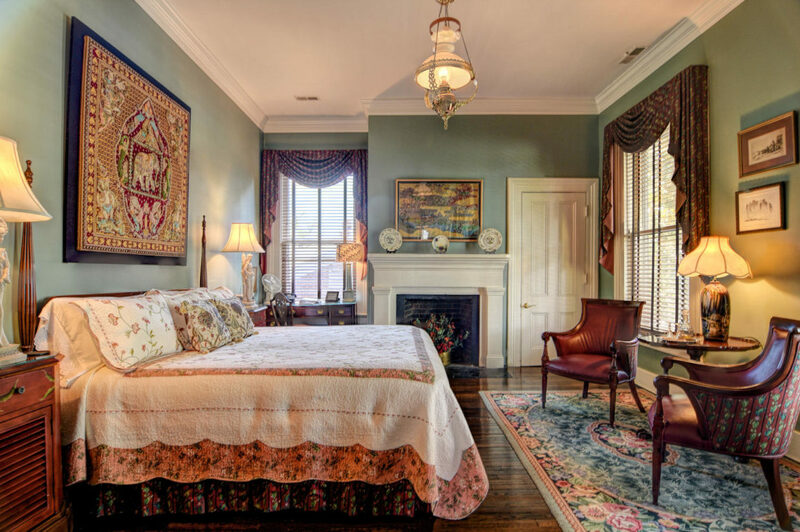 Located on the back of the house, this Guest Room Two has a 10-1/2 foot ceiling. This large room has dark green walls with wood blinds and full swags and jabots, which are in shades of burgundy, navy blue, and dark green. Quality original artwork adorns the walls. The dark hardwood floor is covered with a hooked rug. The room reminds one of Williamsburg and has mahogany furniture. The small sitting area has a settee, small guest chair, and a large wing chair. The desk is under a window, next to the decorative fireplace. 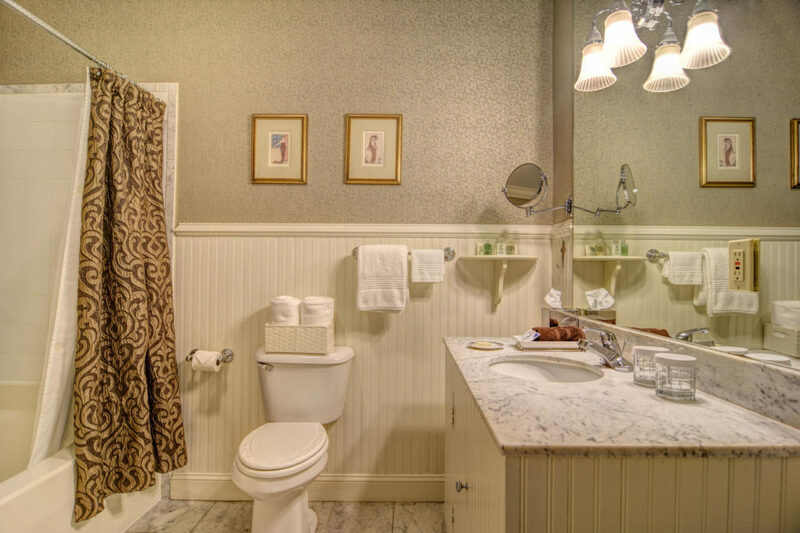 A large bathroom has a marble floor and marble top vanity, and custom wainscoting, above which is a beautiful damask fabric wallcovering. 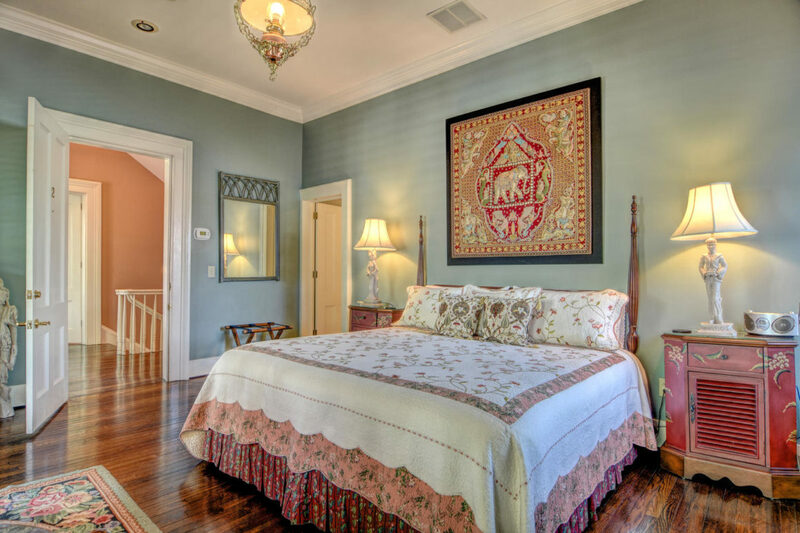 Guest Room Two is within five steps of the door to the back veranda, and has been recently updated with Asian features.